Founded in March 2017, myCryptoWallet is a Melbourne-based Digital Currency Exchange bridging the gap between traditional and digital markets. myCryptoWallet develops and integrates innovative solutions that help to bring the purchasing power of digital currency into the real world. We offer our users the ability to buy, sell, trade, and spend Digital Currencies alongside Traditional Fiat Currencies. myCryptoWallet offers a user-friendly, customer-centric, all-inclusive digital currency service, with a serious and mindful approach to maintaining a high-level of security and customer safety. Our platform is designed to give users a streamlined experience by displaying all of the information they want and need in way that is practical and straight to the point. By providing each user with their own analytical dashboard, we have taken the guess work out of managing and monitoring digital currency assets by providing real-time reports of their profits and losses in their fiat currency of choice. myCryptoWallet is an AUSTRAC regulated digital currency exchange that provides its users with the highest level of safety and security currently possible under international AML/CTF and KYC guidelines. 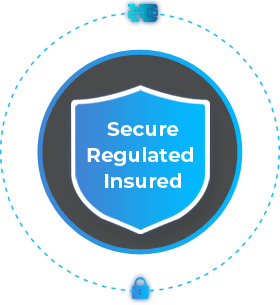 All customers' funds are held in offline cold wallet storage to minimise the risk of theft, and all new users must pass our rigorous Government Identity Verification checks before they can start trading. myCryptoWallet utilises the transparency of Digital Currency together with the power of Blockchain distributed ledger technology to make your wealth more secure and traceable than a bank vault.